Led by a team of scientists from the University of Georgia, the University of California, Santa Barbara and Sea Education Association, the study is the first global analysis of the production, use and fate of all plastics ever made. The researchers found that by 2015, humans had generated 8.3 billion metric tons of plastics, 6.3 billon tons of which had already become waste. Of that waste total, only 9 percent was recycled, 12 percent was incinerated and 79 percent accumulated in landfills or the natural environment. "Most plastics don't biodegrade in any meaningful sense, so the plastic waste humans have generated could be with us for hundreds or even thousands of years," said Jenna Jambeck, study co-author and associate professor of engineering at UGA. "Our estimates underscore the need to think critically about the materials we use and our waste management practices." But while steel and cement are used primarily for construction, plastics' largest market is packaging, and most of those products are used once and discarded. "Roughly half of all the steel we make goes into construction, so it will have decades of use—plastic is the opposite," said Roland Geyer, lead author of the paper and associate professor in UCSB's Bren School of Environmental Science and Management. 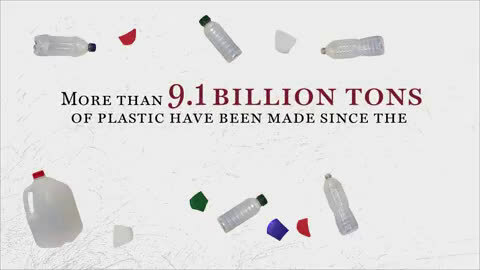 "Half of all plastics become waste after four or fewer years of use." 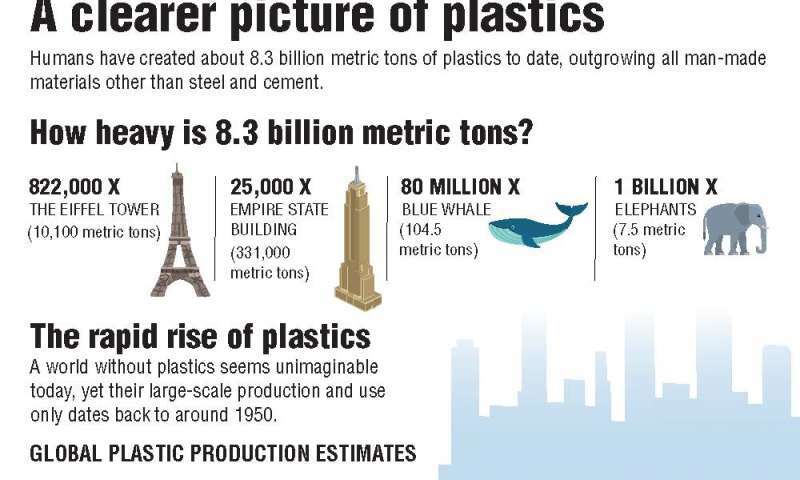 And the pace of plastic production shows no signs of slowing. Of the total amount of plastics produced from 1950 to 2015, roughly half was produced in just the last 13 years. "What we are trying to do is to create the foundation for sustainable materials management," Geyer said. "Put simply, you can't manage what you don't measure, and so we think policy discussions will be more informed and fact based now that we have these numbers." "There are people alive today who remember a world without plastics," Jambeck said. "But they have become so ubiquitous that you can't go anywhere without finding plastic waste in our environment, including our oceans." 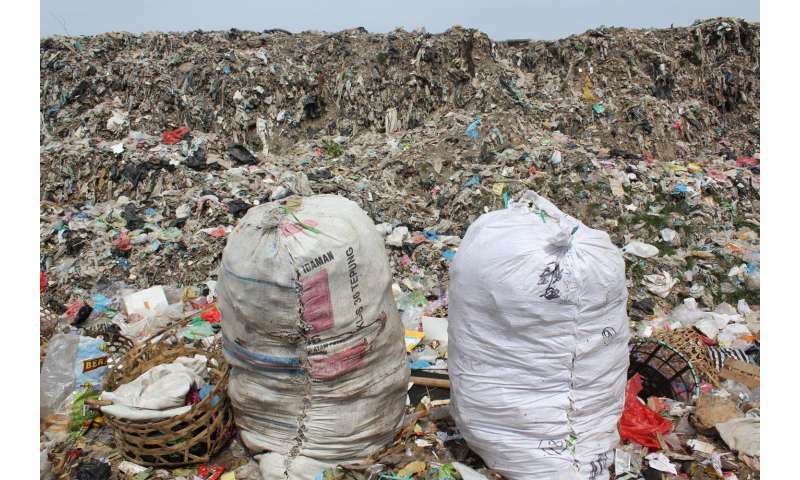 The researchers are quick to caution that they do not seek the total removal of plastic from the marketplace, but rather a more critical examination of plastic use and its end-of-life value. "There are areas where plastics are indispensable, especially in products designed for durability," said paper co-author Kara Lavender Law, a research professor at SEA. "But I think we need to take a careful look at our expansive use of plastics and ask when the use of these materials does or does not make sense." So for formed plastic .....many lots i reckon...or possibly many, many lots, it's hard to accurate.